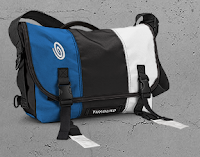 Okay, I just placed the order for my next Timbuk2 bag. It's the new-fangled Laptop Messenger, with rubbery laptop sleeve and napoleon pocket. Size small, because I'm finding the iPad is just fine as my bring-to-work personal machine. I need some other tools too. I need another swiss-army language. Back in the day this was Perl (before that it was Hypercard) and I used it everywhere I saw a nail sticking up. Perl's showing its age and I wonder what I think of python or php. Really all I need is a language that I'm still learning, so that boring little automation tasks are a fun challenge to discover and implement, rather than yet-another stupid perl or bash script. Maybe by the time the bag arrives (four or five business days!) I'll have an idea of what language to learn. Or maybe I'll just flip a coin.